how its camera? and internet speed?? plz reply..
hey guys sony did wrong decisions by excluding xperia miro from jb update....If it can handle ICS smoothly on the Adreno 200 enhanced GPU then why not jelly bean.They are saying that they r considering screen resolution in Go and i know that resolution of miro and go is same with 165ppi.This is ashame to sony nd they are writing that adreno 200 takes less ram and miro have above GPU.I agree that CPU is 800mhz but with project butter it can increse the smoothness more and performance too.DO something for xperia miro users Sony!!!Thanks. Does it support games like Subway surfer and Bingo Blitz?? AnonD-90505, 18 Dec 2012headphones are there,but not memory card,you have 2.2GB of usable internal memory...are u sure?.. 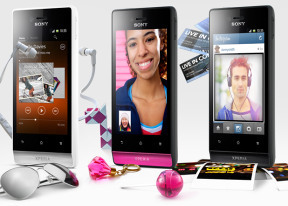 Abdo, 17 Dec 2012does Xperia miro support vedio call in skype , pdf and office word ? Yes, I am using it. it works well. but you need to be in a good lightning conditions. AnonD-90436, 17 Dec 2012can u tell me that how is ur xperia s becoz i m planing 2 buy xp sbattery life is poor.. u have to download the juice defender application however still battery wont last long..
guys suggest me a colour of phone to buy? Should i buy black or white? 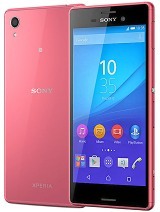 Does sony provide included memory card for this phone?? Does the Miro Box have included headset with it? KINDLY REPLY FOR THIS BECAUSE I AM GOING TO BUY THIS PHONE..